During an appearance on WLS-AM 890 Friday, Sen. Mark Kirk broke with Republicans and asked for a vote on President Barack Obama's Supreme Court nominee, Merrick Garland. He said Republican lawmakers should "man up and cast a vote." "We should go through the process the Constitution has already laid out," Kirk said. "The president has already laid out a nominee who is from Chicagoland and for me, I'm open to see him, to talk to him, and ask him his views on the Constitution." Obama nominated Illinois native Garland in a White House Rose Garden ceremony Wednesday. Garland currently serves as the Chief Judge of the U.S. Court of Appeals for the D.C. Circuit and is considered a centrist. 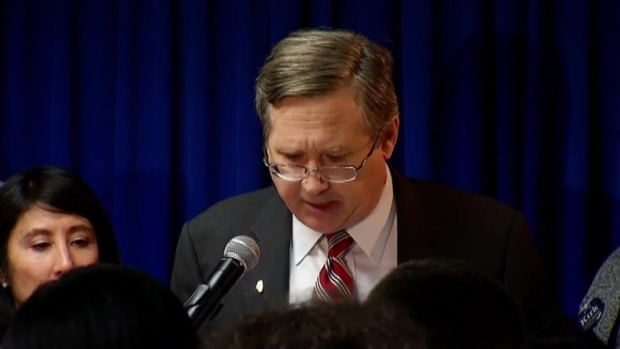 Sen. Mark Kirk speaks after winning the Republican primary on Tuesday. He will face Democratic Rep. Tammy Duckworth in the battle for the U.S. Senate. "Many of us believe that the Republicans should, in fact, do the job that they were elected to do and at least offer a vote up on Garland," Kirk added. During Obama's nomination Wednesday, he urged Republican leaders to move forward with the process to confirm Garland to the Supreme Court. Nonetheless, Republican lawmakers are pushing to block Obama's Supreme Court nomination until a new president is elected next year. Senate Majority Leader Mitch McConnell called Garland Wednesday to inform him that the Senate would not move forward with the confirmation process. The ad is interspersed with critiques of Duckworth’s Congressional career. Tammy Duckworth speaks after winning the Democratic nomination for U.S. Senate in Tuesday's Illinois primary. The ad also claims Duckworth was “one of the least effective members of Congress,” according to Inside Gov. Aside from this, the ad aims to tie Duckworth to imprisoned former Illinois Gov. Rod Blagojevich. “Tammy Duckworth endorsed Blagojevich … while he was under investigation," the ad says, citing the Chicago Daily Herald. Kirk’s campaign manager, Kevin Artl, expounded on the allegations in a press release supplied to Ward Room. Duckworth’s team responded in a statement, faulting Kirk for potentially supporting Donald Trump’s presidential campaign and for not pushing McConnell to move forward with Supreme Court confirmation hearings. Incumbent Kirk defeated Oswego businessman James Marter to win the Republican nomination. 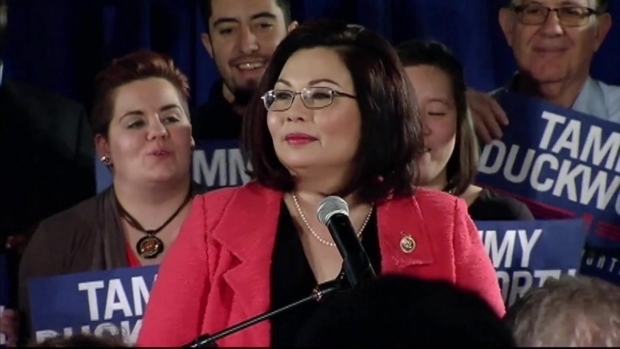 Duckworth beat out Urban League CEO and President Andrea Zopp as well as state Sen. Napoleon Harris to win the Democratic nomination for Kirk’s U.S. Senate seat. Kirk and Duckworth will face-off in the Nov. 8 general election.